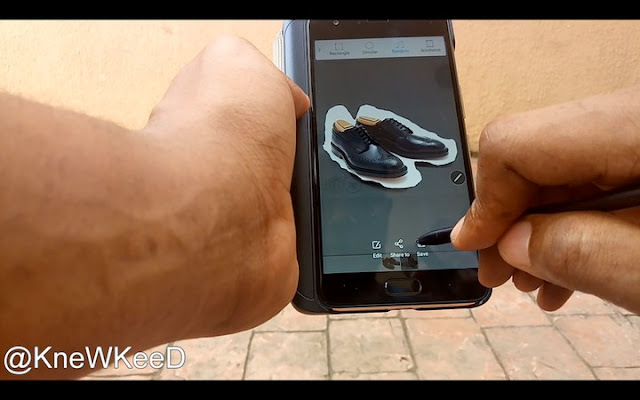 Top X-pen features on the Infinix Note 4 Pro. 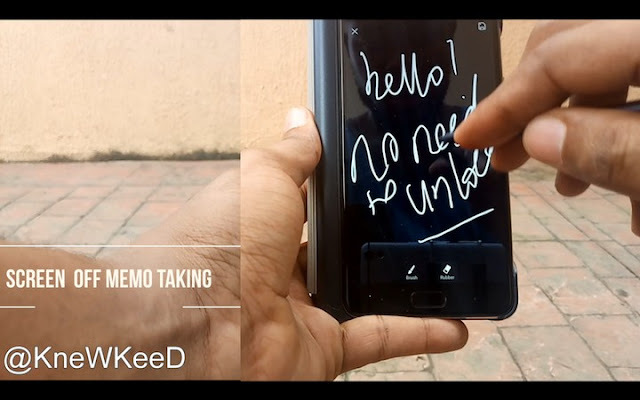 Hey guys, here are a few things that the X-Pen can do with The Infinix Note 4 Pro. When you take a look at the back of the pack, you’d see some features and of we’re going to be looking at each one and more in this video. Before we get down to it, there are a few things worth noting. Your X-pen and Smart Cover come as a package deal because they work hand in hand for safekeeping and charging of the X-pen. The price should be around 4,500 naira which translates to $12. It’s also worth mentioning that i found myself holding on to the holder on the left while using the X-Pen for easy handling of the phone without touching the screen. The first feature we’d be looking at is the screen-off memo-taking without unlocking your device. Just pull out the X-Pen and you’re good to go from the lock screen. It’s a seamless way to take notes if you’re on the go. I think it’s something i would need for when i’m out and about, a remedy to those annoying moments where i take 3 steps just to input new notes real quick. Next, we’d be looking at the quick shortcuts for calling out the Air command interface and memo. 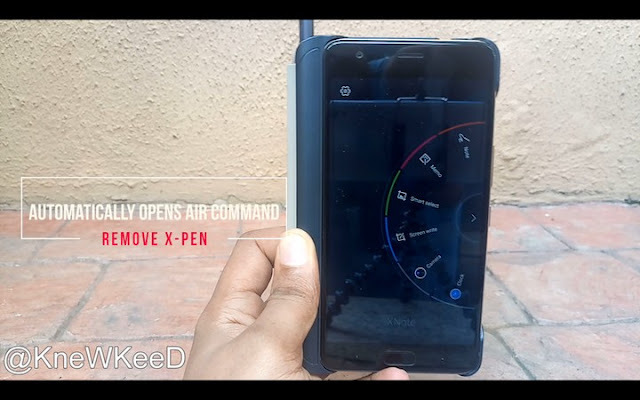 For air command interface, simply take your x-pen close to the display and tap the X-pen button once to activate it. 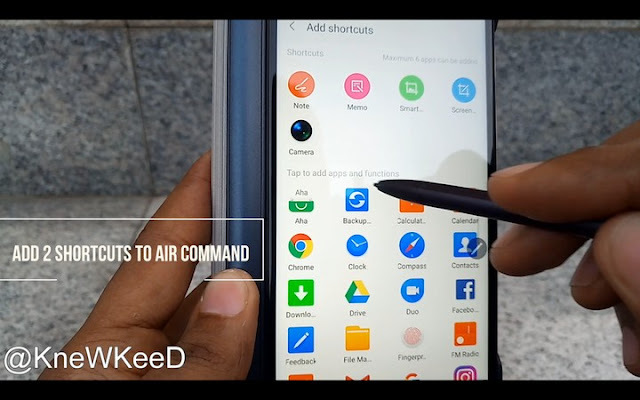 You can also add shortcuts of 2 favourite apps to your air command and minimize it into a floating icon. To quickly call out the memo. You take the x-pen close to your display, double tap that button and voila. The memo pops up, you can, maximize, edit and minimize it into a floating icon. 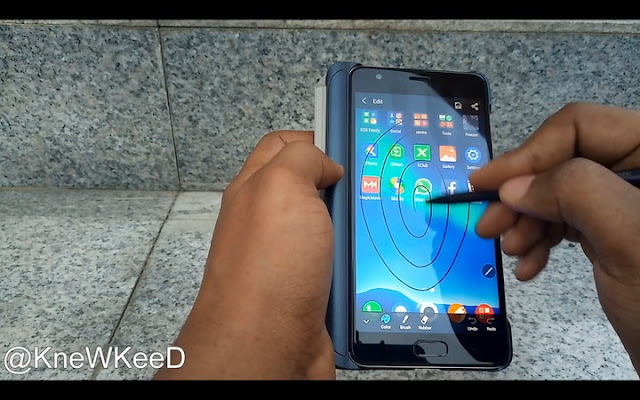 Another feature and probably the most defining one would be the X-NOTE. If you’re good with a real pen or brush for Note sketching, painting a portrait or designing a blueprint, The X-Note would be your most valuable feature of the bunch. You double tap the icons below to toggle between different brushes, density settings, eraser settings and a really wide selection in the color palette. 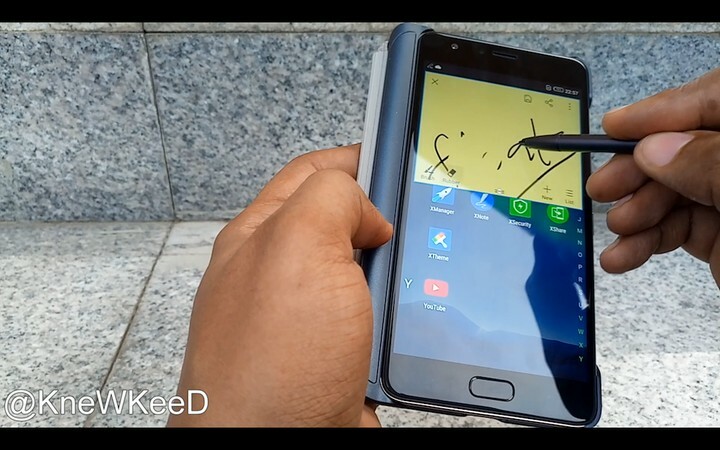 You can also press and hold that X-Pen button to erase the note, then release the button to return to brush. As you can already tell, i’m not the most talented artist. You can also check your saved Notes and memo here as well. 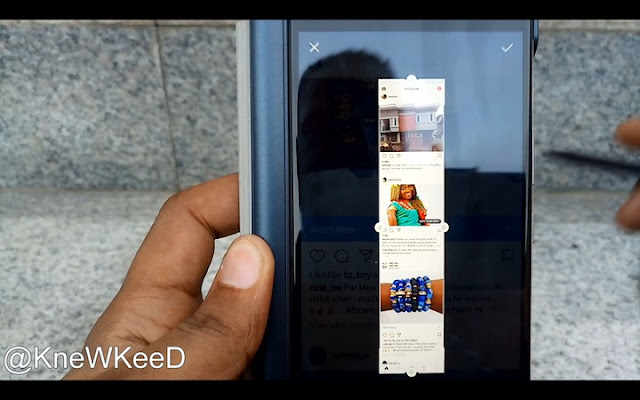 Another rich feature is the smart select which simply selects part of the image on your screen and allows you edit. The first 3 options above are useful for sharing images from websites and apps to colleagues or friends without sharing the entire screenshot. The scrolls hot feature on the allows you screenshot the entire row of the page you’re viewing. For instance, i wish to share these cool office shoes i found on Jiji app to recommend it to a friend, i’d simply open Jiji, search item, pull out air command, and tap smart select, tap scrollshot, scroll and tap to share. Then there’s also the screen write which simply takes a screenshot and gives you the option of adding notes or pointers on the screenshot. 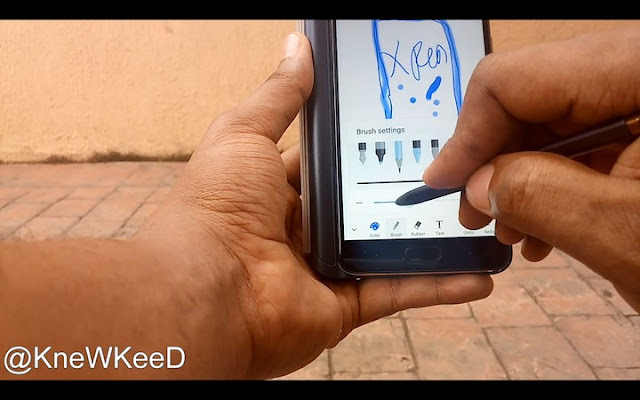 That’s all for this review guys, let me know what you think about the X-Pen's features and do check out my review video on YouTube.